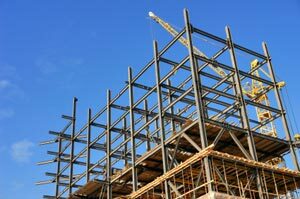 One of the most economical and popular types of commercial buildings are steel and metal structures. Their quick construction times and low costs mean that more and more steel buildings are constructed every year. To help you keep up with growing demand, Arango offers installation of steel building insulation from top manufacturers like Icynene, Johns Manville, and Owens Corning for commercial projects throughout the Atlanta, Georgia, area. When you’re under strict construction deadlines and need your insulation now, don’t hesitate – call Arango Insulation. We provide fast turnaround times and next day delivery in most instances to ensure that your project gets completed on time. Contact us today to learn more about steel building insulation and how we can help you complete your commercial project. Also feel free to inquire about our commercial roofing services.